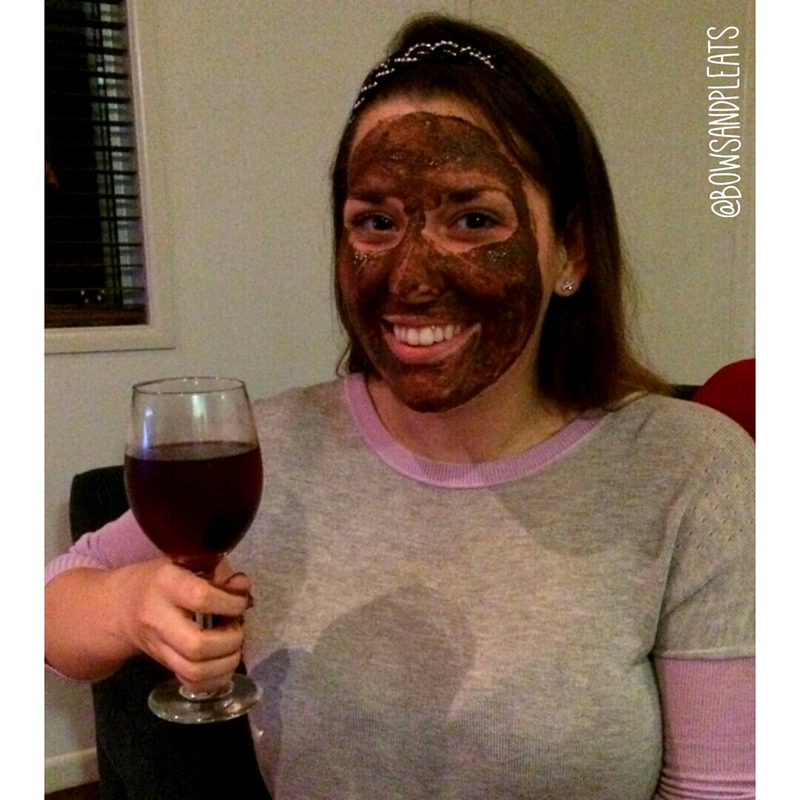 So I don't know about you girls, but I love a good face mask. Sometimes they may look strange enough to scare off our partner/roommate/family member/pet ... but if they do the job, I'm keen to try. I honestly have an embarrassing stash of face masks, but since I generally will only use a mask once or twice a week, I do like to change them up fairly often and rotate new brands into my routine. 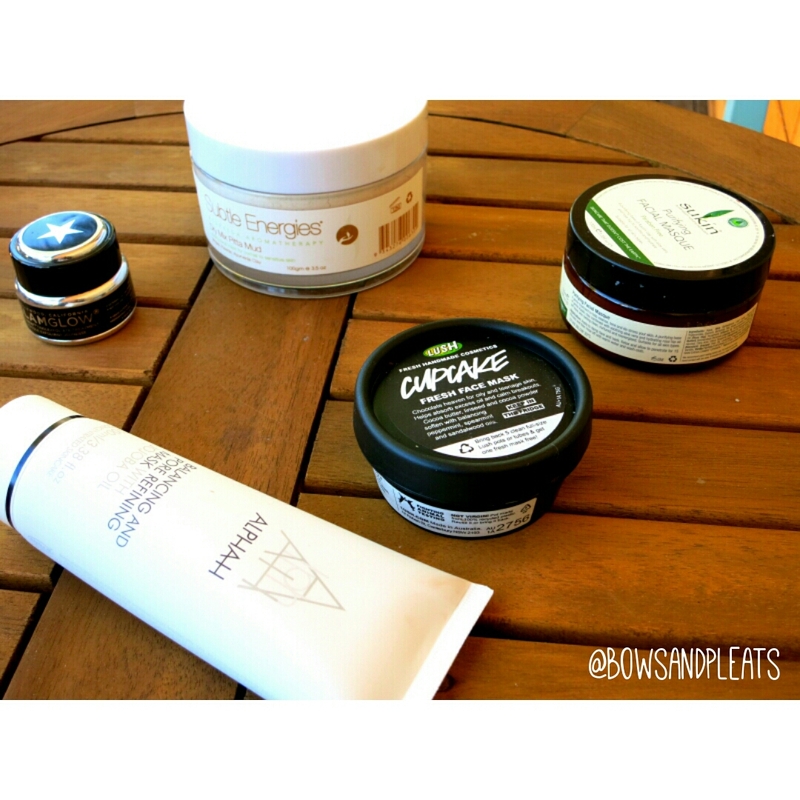 Here are some face masks that I have really been enjoying lately! I have tried a few different face masks from Lush, and to be honest they have been hit or miss for me. I admire the fact that the ingredients are fresh and free of any nasty surprises. However, I have tried a few facial products which I found to be either too messy or smelly to be enjoyable. 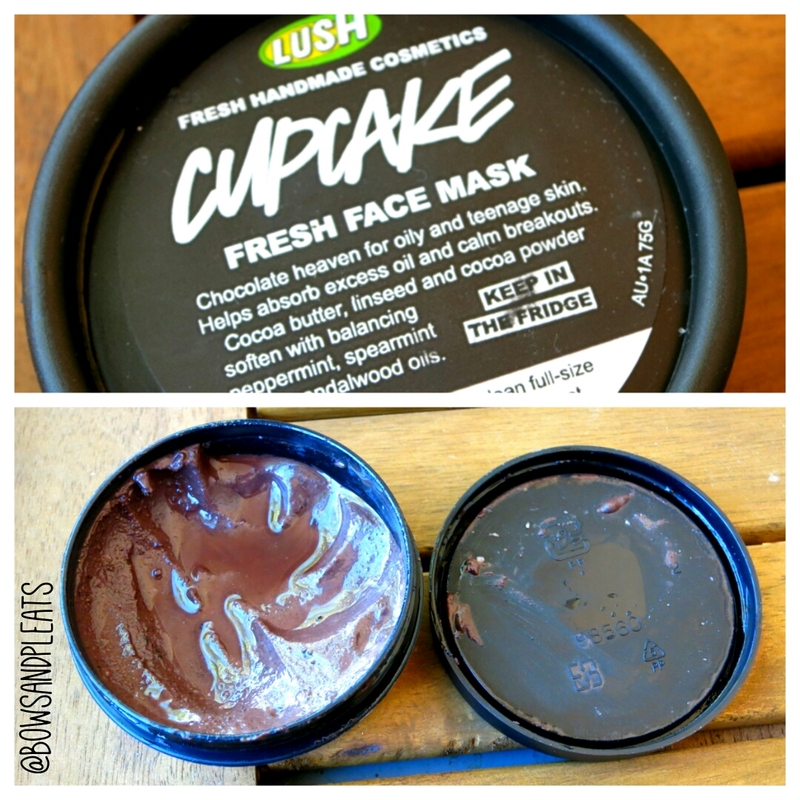 Fast forward to purchasing the fresh face mask in Cupcake and I am in face mask heaven! It smells ... like chocolate heaven, and I am generally tempted to eat this mask when it's on my face. More importantly, I find it really works to reduce inflammation and breakouts, and keep oil away. Keep this one on for 5-10 minutes and then rinse away. An embarassing photo but I knew you guys would appreciate! 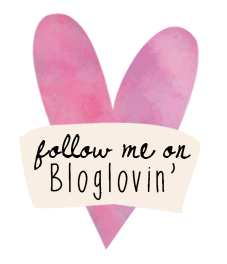 If you're reading this, it means you're probably at least somewhat interested in skincare, and that you've most likely heard of the hype surrounding the brand GlamGlow! They are most well-known for their original mud mask the super-mud clearing treatment, however I purchased a sample pot of this face mask at my local Mecca Maxima to try. The pot is pretty tiny. You only get 15g. I have used it about three times now, and I'd say there are probably 2-3 more uses out of it. Still, $22 for 15g is pretty expensive. This mask has a strange smell (not really pleasant or unpleasant) and has chunks of what I believe are tea tree leaves embedded into the clay, which can make it a little messy and look super strange when you are applying it! According to their website, GlamGlow say that "French Sea Clay works to detoxify & awaken the skin by drawing out impurities, while Ivy helps tone, tighten and lift the skin". You are supposed to leave this one on for 10 minutes or less. When I used this mask I got a strong tingling sensation almost to the point of stinging, but it went away within 1 minute, and then I could feel the mask tightening. 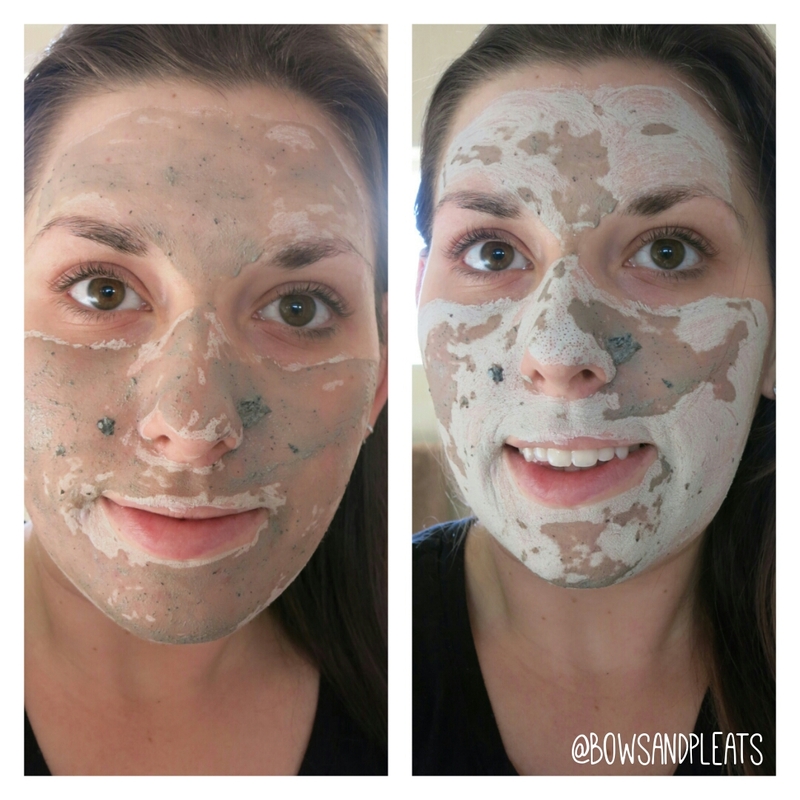 When the mask dries, it literally dries into a hard clay. Then you apply a damp cloth to the clay and use the dried bits to exfoliate the skin in circular motions. That is my favourite thing about the mask. I like how smooth my skin feels after I exfoliate with this mask and I feel like all traces of oil are gone. I haven't found that it has "saved my skin" or eliminated all my breakouts but it certainly makes my skin feel smooth and even after I use it. I am still debating if I will buy the full size of this product because it is so damn expensive! 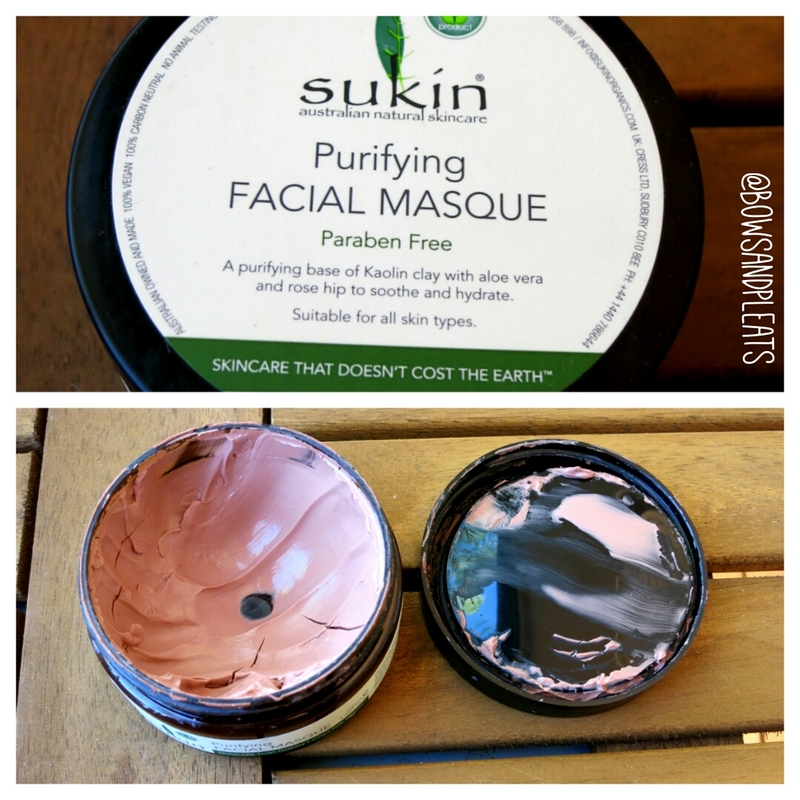 Sukin is a great natural Australian skincare brand that is super affordable and available in many local pharmacies. Sukin also pride themselves in producing products that are free from parabens and other nasties which is always a bonus! I picked up this face mask from my local Priceline (although I can't see it on their site anymore) since it promised to soothe and hydrate and was suitable for all skintypes. I actually found that this mask made my skin tingle a little bit on application, so I would argue it may not be suitable for sensitive skintypes. The mask is a strange pinky colour which is from the kaolin clay base. It also contains aloe vera and rose-hip oil which are known to be beneficial to nourish and hydrate the skin. This mask gets left on for 15 minutes and is then washed off. I found that my skin felt hydrated and smooth after use. As you can see you get quite a bit of product in the tub, and I have hit pan on this one! I have used it about 5 or 6 times now and I really do enjoy using it although I am not sure if I would repurchase as I didn't feel it really produced great results for my skin, specifically helping with my breakouts, however it is a good all-rounder for adding some extra TLC into your skincare routine and it is certainly very affordable. 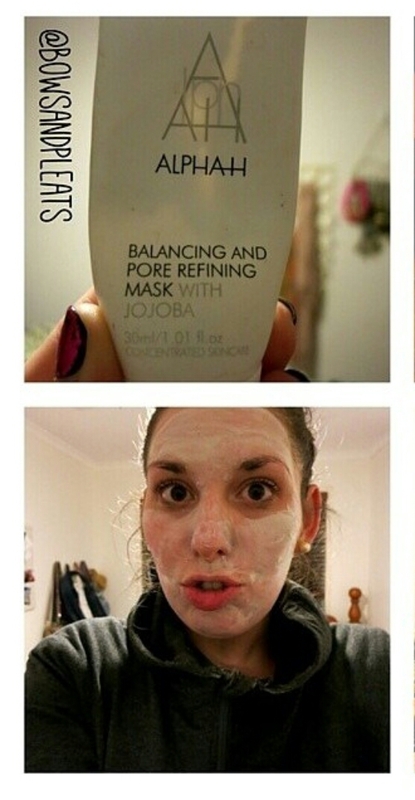 Subtle Energies is a brand I wasn't aware of until I was lucky enough to be sent this face mask to try! Of course, being a skincare junkie, I was happy to discover a new Australian skincare brand. 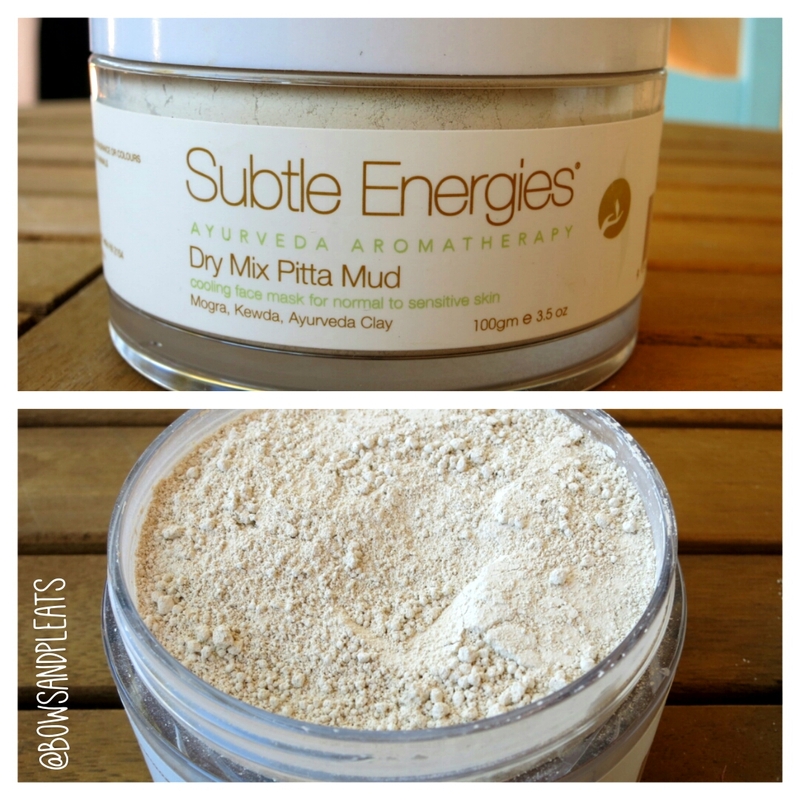 Subtle Energies offers a range of Ayurveda Aromatherapy blends, treatments and skincare This mask is described by Subtle Energies as having "The unique combination of dry herbal extracts, Ayurvedic clay and essential oils cool and refresh skin, while the aromas of Mogra, Frankincense and Kewda essential oils will soothe the senses and promote tranquility." This is a really interesting formula for a mask, because it is actually a powder which is activated when you add a few droplets of water or a few spritzes of your favourite toner. I liked the idea of this mask, however it did prove to be a little messy in practice and I feel like some product was wasted in the process. I also feel like you get alot of product in this tub, so it would last forever as you only need 1-2 tsp of powder to create the mud mixture. I found this mask was very calming and worked to draw out dirt and oil from the skin. I left mine on for about 15 minutes and found that it dried and tightened but didn't feel uncomfortable. It left my skin feel clean and smooth. This mask is definitely a little pricey, but I think it's because you are getting a large amount of product. I honestly think a tub would last you at least 6 months or even longer depending on how often you use it because only a small amount of product is used to create the paste. If you aren't a fan of the smell of essential oils, you may also want to give this one a miss as the scent is pretty strong but I found it very calming and relaxing. 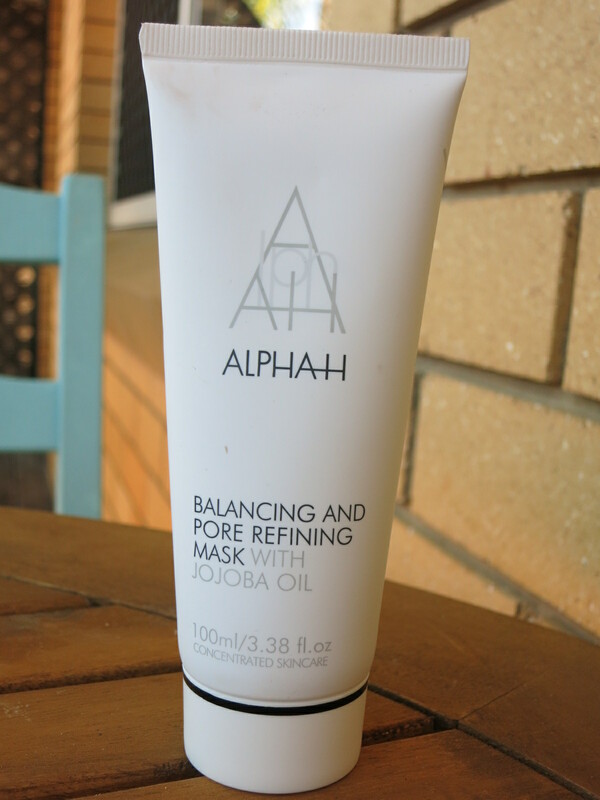 If you follow my blog, you'd know that I really enjoy the Gold Coast skincare brand, Alpha-H. They have some great products, and specialize in products with Alpha Hydroxy Acids (AHA's) that have amazing benefits for the skin (check out my review of their Liquid Gold Here). This is one of my go-to masks for combating oil and blemishes. When my skin is "freaking out", I know I can reach for this mask and my breakouts will be less inflamed and red when I am finished. I started off using a sample size of this mask which came in a 30ml tube (see picture to the left) and it honestly lasted me for about 10 uses because you only need a small layer of the product. Now I've moved on to the full-size and I think it's definitely worth the price I leave the mask on for 10 minutes. The mask contains anti-bacterial Lavender, pore cleansing White Clay, Zinc Oxide to accelerate post-acne healing and Vitamin A to improve skin integrity. According to Alpha H, it's suitable for all skin types, particularly dull and congested. It's honestly so simple but very effective. It's one of the best clay masks I've used because it is able to avoid drying out the skin too much, while still able to draw out impurities and reduce inflammation from current breakouts. This is also a perfect mid-range price point for a mask, and a 100ml tube would last you a year judging from my well-loved sample tube! That Alpha H mask sounds great! 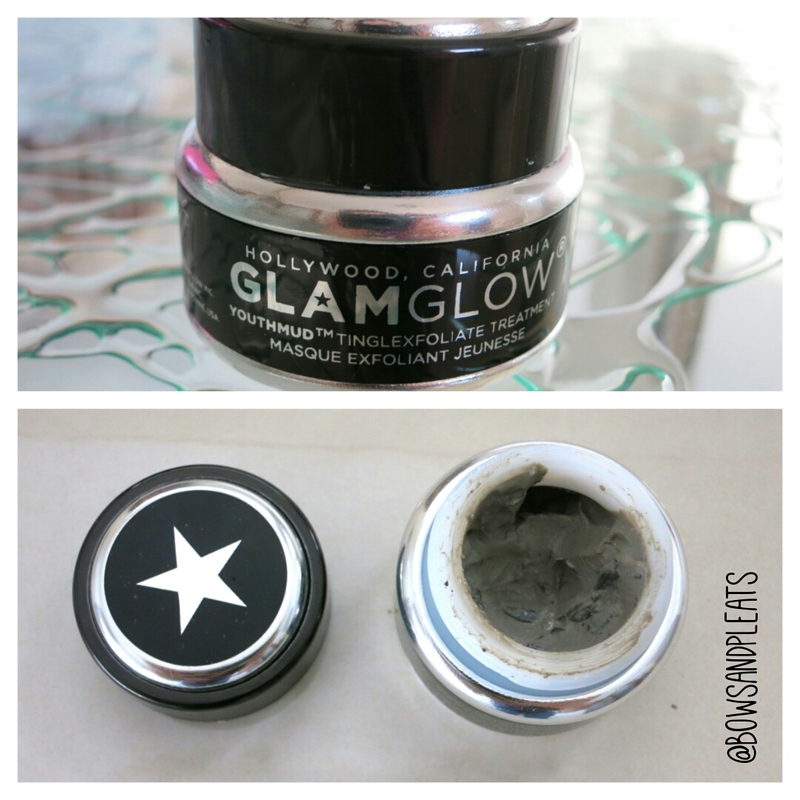 The Glamglow mask is a too pricey for me I think, and my skin is pretty hard to please when it comes to masks! I smiled at that photo of you wearing cupcake holding that glass, haha! 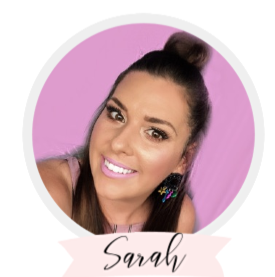 Great post Sarah! I hardly ever use face masks. The last one was Oatifix from Lush but it was a bit too expensive and not long-lasting enough for me. The Alpha Hydrox looks really good, do you know where I can get it from - do they sell it at Chermside :D You look so funny, in a good way with all the masks on. Great post! I love a good face mask too. I have indeed heard about Glamglow and all the hype! I do really want to try it one day though it's out of my price range for now!